If the name SCRVP looks familiar to you, that’s because it should. Owner of the incredibly influential SoundCloud label MMXVAC, he’s been hard at work bringing his own music project to the same heights. And it seems like he’s been successful with that. From his most recent set performance at Electric Forest to his Odesza-esque remix of Paris by The Chainsmokers that garnered over 3 million plays, his personal ventures establish him as more than just the man behind the label. 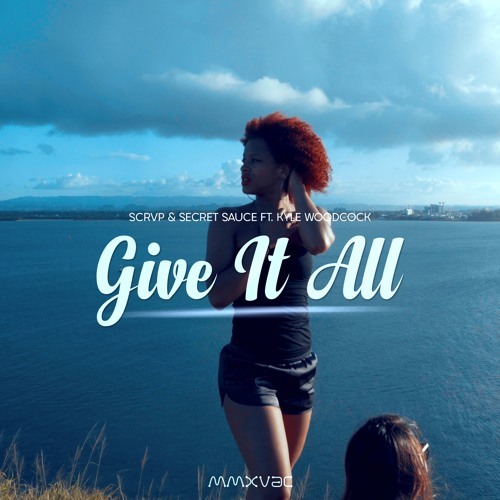 Teaming up with Secret Sauce and vocalist Kyle Woodcock, SCRVP keeps the train going on this latest hit, ‘Give It All‘. The calm and focused atmosphere of ‘Give It All’ gives the future bass track a state of zen. Tempered percussions are found from start to finish trhough the entire track creating its underlying energy. However, the energy is a docile meditative one. Kyle’s deeper soothing voice is a perfect accent to the vibe of the instrumental. Rather than just adding more energy, each drop simply focuses and sharpens the energy of their buildups. A short kick, a bright echoing snare, a tight wobbling lead synth, and a solid sub bass are all these drops need for their power, accented by light plucks, clean high hats, and effective vocal chops. This latest track highlights SCRVP’s artistic versatility, a trait that shall serve him well moving forward. We’ve already seen create Trap bangers and bright Pop-heavy Future tracks. Seeing him be able to hit a more somber key only deepens his talent pool. It’s no wonder he already has the support of acts like Diplo. Hopefully, SCRVP has even more left to give after this.